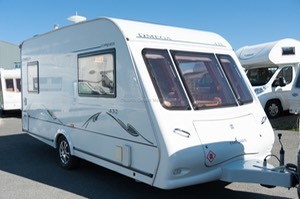 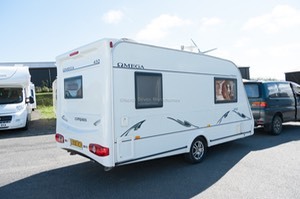 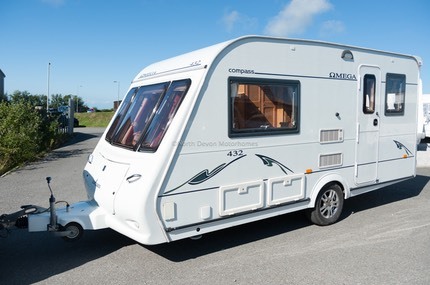 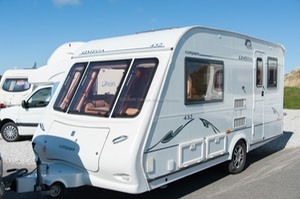 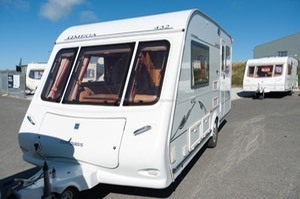 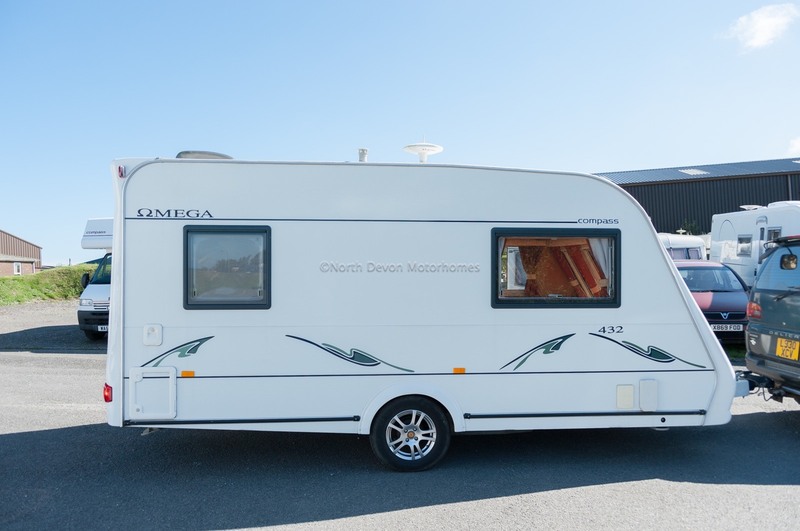 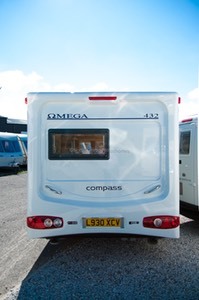 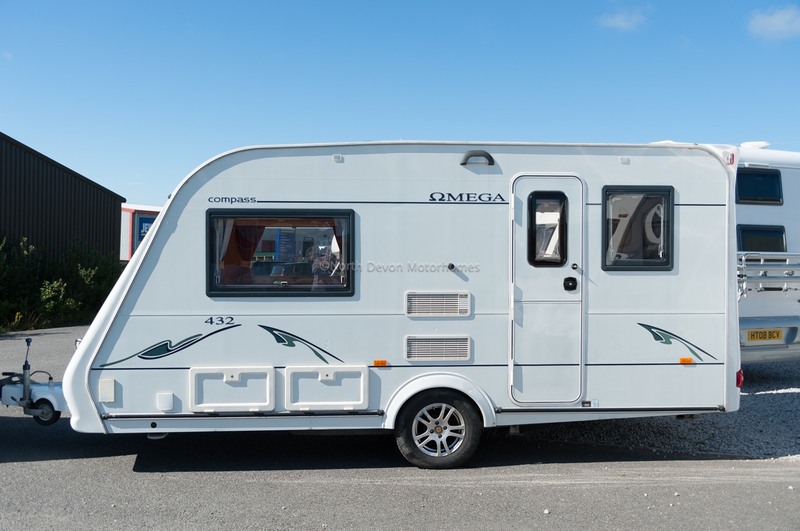 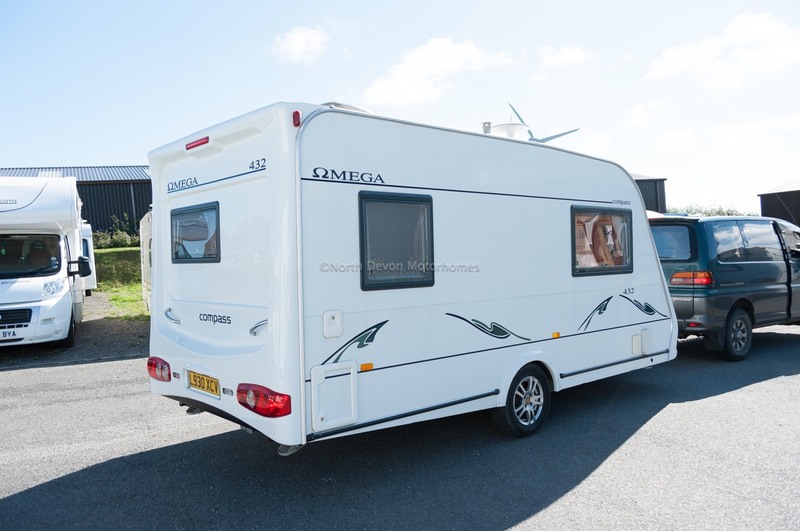 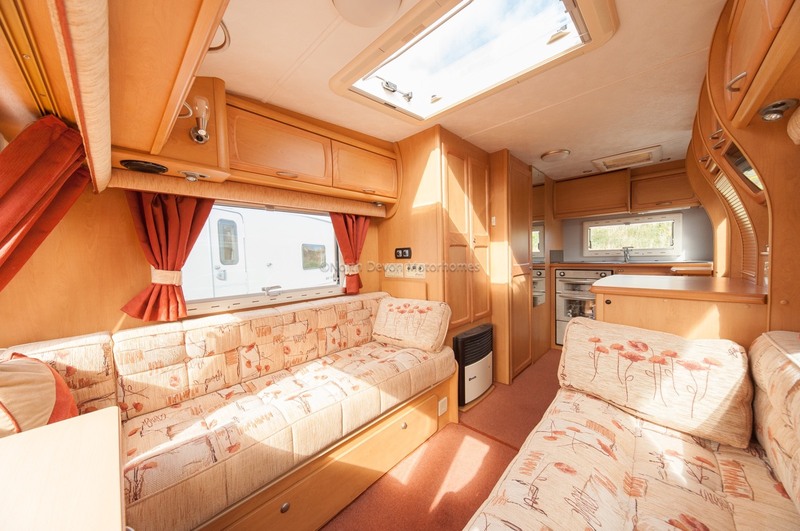 SOLD: 2005 Compass Omega 432, End Kitchen, 2 Berth Loaded with Extras. 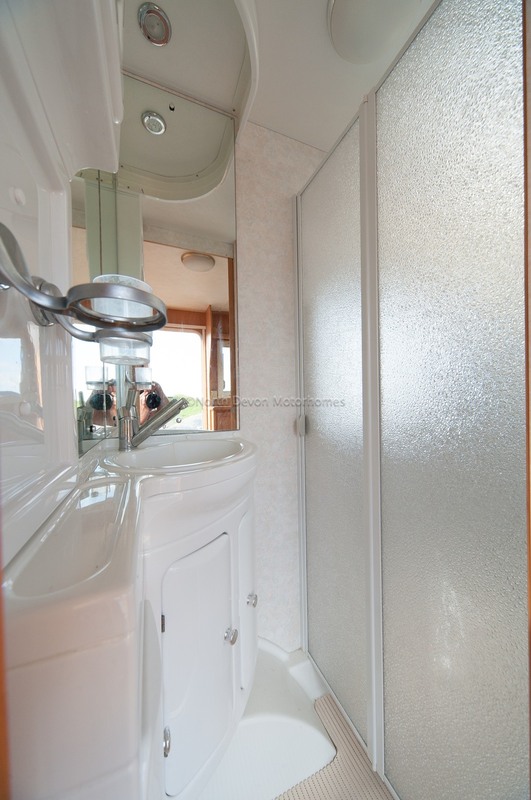 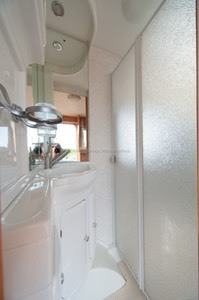 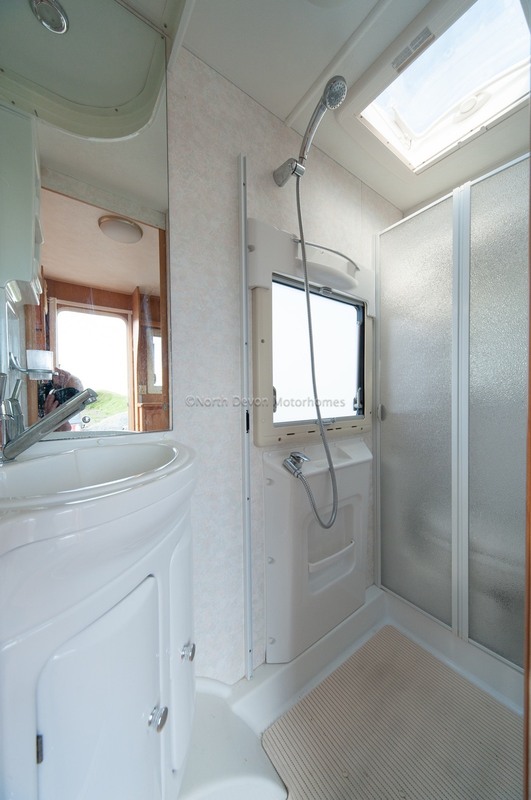 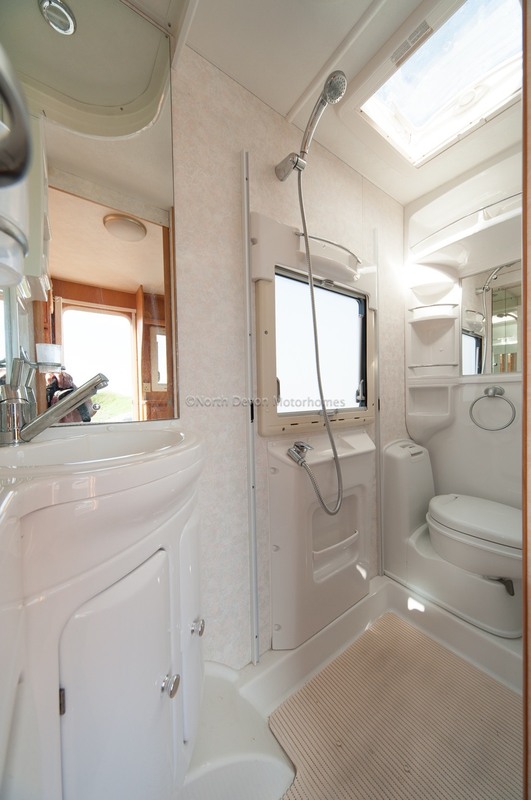 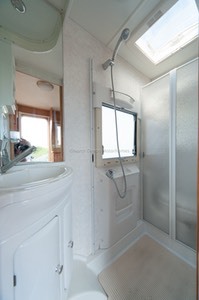 Washroom: Large rear corner washroom with shower, swivel base cassette toilet, moulded sink unit, vanity mirrors, ample storage, blown air heating point, skylight, 12 volt celling and spot lighting. 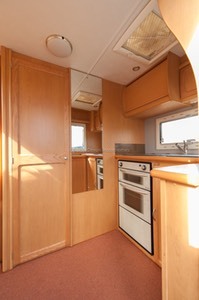 Kitchen: Lovely L shape kitchen, set to the right of habitation door allowing entry and exit without disturbing the chef. 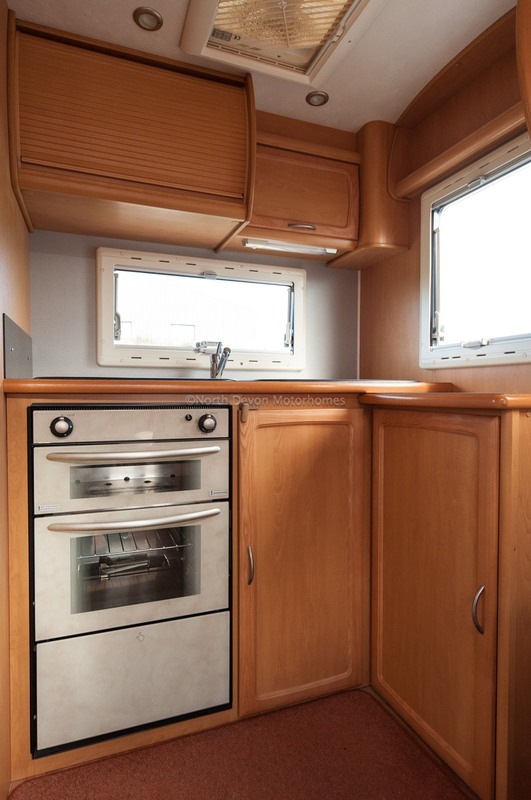 Consisting of a four burner hob, grill, oven unit, sink/drainer, three-way fridge, and ample storage. Just to the left of the habitation door some additional work surface and cocktail cabinet that flows through to lounge area. 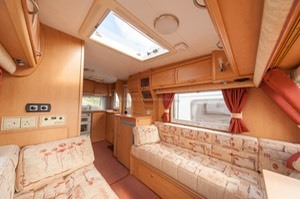 Lounge: Two long lounge settees with central draw chest, making for a pleasant lounge area with a large central Heiki roof light and windows all around, flooding this pleasant space with natural light. 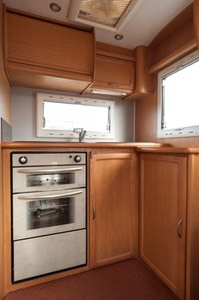 A stow away table provides comfortable dining, along with a cocktail cabinet above the fridge, and TV station. 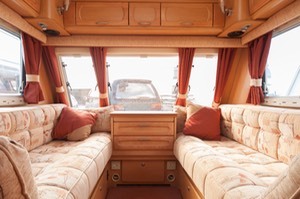 The two settees also provide two single beds or alternatively easily make a large double bed. Storage: Ample storage is provided throughout by a wardrobe, lots of cupboards draws and shelves. 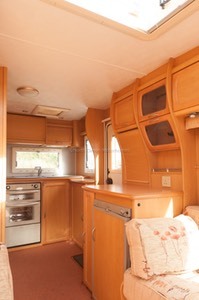 plus under the bed/settees, with various outside lockers etc. 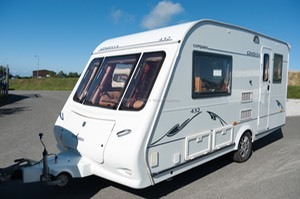 Extras: Awning, external winter cover, alloy wheels, aluminium step, wheel clamp, gas bottles, 240 volt hook-up lead, water pump, fresh and waste bowsers, etc.